Kevyn Acoin "Sensual Skin Enhancers"
An absolute must have in your personal makeup bag & makeup kit. "This versatile, waterproof face perfector covers, conceals and corrects. It hydrates and mimics the appearance of healthy, radiant skin with its ability to provide medium-to-complete coverage. This award-winning, best-selling makeup is a go-to for pro artists, celebrities, beauty editors, bloggers, vloggers, and superfans everywhere! MAC Cosmetics Fix Plus "Lavender"
"Long-lasting, waterproof liner glides on smoothly to prime AND define—for long-lasting lip color and clean lines. Smooch. Pout. Smack. Nibble. Lick. 24/7 stays put through everything (yes, EVERYTHING) you do. 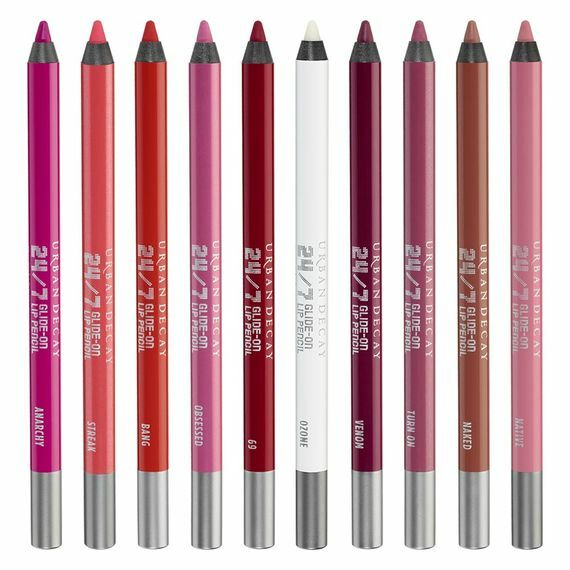 When you use our liner to fill in your lips completely, it primes them for lipstick or gloss, grabbing on to color to help it last. The perfect light pink lip color and liner that enhances your natural lip perfectly. Uniquely designed to help create an airbrushed finish for a flawless sculpted appearance. The wide end perfectly smooths cream and powders while the pointed end easily fits smaller areas of the face, like around the nose and under eyes.